The Valancourt Books tumblr has an amazing then&now photo from Jefferson Park. I woke up this morning thinking “I wish I had more knowledge of the history of Jefferson Park” and then …. BOOM!! You are good, Mr. Murden. Love this stuff. 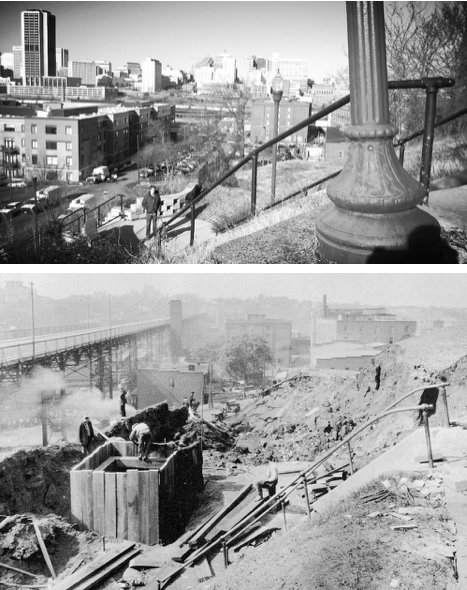 While reading the latest Church Hill Tunnel book, I started to wonder whether the giant fossils found under Jefferson Park during the digging of the tunnel are still around. The author spoke of prominent Richmond families having these fossils in their collections. Wonder if anyone knows who, where and how.